We are now able to supply cut to size English Oak as well as Oak from America and the rest of Europe. With there being more and more demand for British timbers, being able to supply them as raw materials, as well as products is quickly becoming a necessity. Due to the current market for English Oak we cannot price it on the web, so please enter your cutting list below and we will get a price back to you. Message / What are you using the Timber for? Thanks for your enquiry. One of our sales team will get back to you as soon as possible. 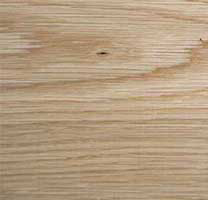 English Oak is similar in characteristics to European Oak and is available in prime quality and character grade. Both of these grades will contain knots, prime quality will contain smaller and fewer knots than character grade. The lead time of English Oak is also much better than European as we can usually get cut to size English to you within 10-14 working days rather than 14-17 for the European Oak. We will also be offering machining on English Oak so if you need more accurate sizes than the regular cut to size we will be able to supply them to you although the waiting time will be longer than the sawn boards. In some cases it may also be possible to get the Oak machined to various cladding profiles to match the ones on offer from the other available species'. As with all other species of timber Oak will eventually turn silvery grey if left unprotected and in contact with UV light. You can buy clear UV protection oil from Wood Finishes Direct. If you are unsure what you are looking for they have a very friendly team of experts who we always find to be extremely helpful. 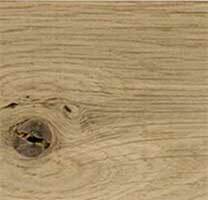 Prime grade English Oak is the highest quality Oak we can supply and contains minimal pin knots. As one of the cleanest grades available on our website Prime English Oak is suitable for contemporary use where a modern uniform look is desired. Character grade English Oak is also high quality timber, however, unlike Prime this grade has small sound knots and surface splits. As the more decorative of the two grades Character is often used where a more natural and traditional look is required. English Oak was also used for traditional yule logs at Christmas where they would be decorated with holly. It was during the 1700’s that Oak was mostly used for ship building and each ship that was built for Drake and Nelson used wood from around 2500 Oak trees. Luckily the trees grow quickly for the first 80-120 years, so the builders didn’t have to wait around for Centuries before the wood was ready to use. The acorns that grow on the tree were used by our ancestors to help treat ailments such as diarrhoea, inflammation and kidney stones. The acorns were also used to make bread and flour before wheat replaced them. Our Oak trees also play a vital role in the environment as they are the perfect habitat for insects, birds and small mammals. Their acorns are a rich food source and their open canopy allows flowers and fungi to flourish around them as light can still reach them. World War 1 had a devastating effect on English Oak supplies so in 1919 the Forestry Commission was formed in order to restore and preserve woodland. They have planted countless trees and woodland and have helped landowners to replenish stocks. Oak was used during the war effort in coal pits, steel works and trench building on the battle front. The Forestry Commission’s original goal was to make sure that Britain wouldn’t have to rely upon imported wood in times of war and it wasn’t until after the second world war in the 1960’s that landscaping became an important part of the commission’s role. It was even later still when wildlife and environmental issues were taken on board. Since WW1 the amount of forest cover has grown from 5% to over 12% at the turn of the millennium. Kiln Dried to 12-15% moisture content. Small pin knots and colour variation permissible (in principle defect free).